I was once told by a friend of mine that she refuses to watch documentary films due to their depressive subject matter. I, of course, objected against her statement. But after seeing Adam Irving’s “Off the Rails”, I came to the agreement that, indeed, sometimes it’s better to know nothing than knowing when such injustice occurs in a free country like in the United States of America. It’s not like I am taking Darius McCollum’s side. But it’s good to have common sense, isn’t it? We all have heard of drug addicted people. Some of them use a certain type of medication that eventually kills them. Some take strong drugs quietly and live much longer. But there is another addiction I’d never heard of – addiction to hijack trains and buses for joy ride. Darius McCollum simply can’t imagine living without trains and buses. Just for stealing them, he has ended up in the prison more than thirty-one times. And if there is possibility that he can do it one more time, no big deal. He will do it again just to feel it. So, if it’s not love at the first sight, then what is it? However, “Off the Rails” is not so funny as I tried to describe it above. Just to warn you before you start watching it. Be prepared to get insanely angry every time when Darius will be sent to jail to serve the sentence with all dangerous criminals that in the end can drive nuts any sane person. While Darius appears extremely friendly, caring and kind-hearted human being that would never hurt a fly, he struggles with his love for trains he has admired since he has been child. 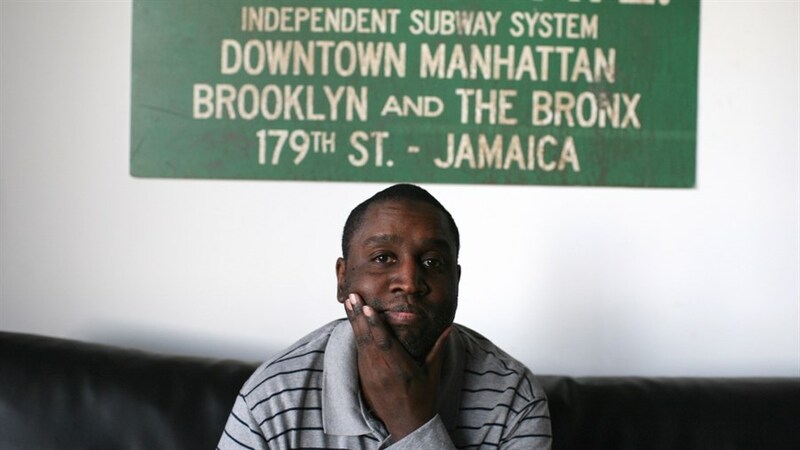 In the subways, the film reveals that he was able to find a refuge from constant school bullying and harassment due to his Asperger’s syndrome. As the film continues, we find out that Darius always enjoyed the company of conductors. More importantly, they could have called him in case if they were not sure how to operate the train. Can you believe such a thing to ever happen? But it did happen in New York with Darius McCollum. He also memorized every facet of the system, and without any problems would drive stolen trains and buses and stop at each station as per schedule with no delay. Well, that is something Toronto’s Transit System must learn – how to be on time. But it is his condition that makes his obsession difficult to control. That is what makes him to get arrested each time. But the question you may ask yourself is why the MTA won’t offer him a job instead of sending him to jail every time? Don’t they have enough criminals to lock up in the prison than sending someone so innocent such as Darius? Well, that is what we mainly learn from the American Justice System. It does not matter in what condition your state of mind is, if you need to be locked – you will be no matter what. Adam Irving does an incredible job as a filmmaker that will make you feel for Darius throughout the film. It’s truly an outstanding story that you must certainly see at any cost. It may not inspire you to go and steal a train, but it will indeed make you to watch the train you get in better. But let’s face it. What can be better than having another Darius somewhere in Toronto with such love of the transit system? But in the end, that love takes him to the prison that none of us would ever wish he’d end up in our dreams. But life is life. Darius is Darius. End of story!